Good condition no leaks or dents. ITEM NUMBER A326. VW SCIROCCO MK1 1.5, 1.6 & GTI. VW GOLF MK1 CABRIOLET 1.6, 1.8 & GTI. VW GOLF MK1 1.1, 1.3, 1.5, 1.6 & 1.8 & GTI. A NEW LOCKING FUEL CAP. 1 x LOCKING FUEL CAP. SUITABLE FOR. (VW Volkswagen T25 Fuel Tank 85- Transporter Caravelle Camper)'s compatibility is a guide only. Fits VW T25 From85 ON. VW Volkswagen LT T25 Wiper Stalk Arm Rear Washer Transporter Camper Caravelle. Vw Volkswagen T25 Bumper Corner Front Left Or Rear Right Campervan Caravelle. Fits all Golf MK2, MK3 and Corrado. VW Parts International. Get news of New Parts to your inbox |. RacingLine VWR Parts. Of course it could be cancelled if after the conversation, it turns out not to be a suitable part/product for you. This fuel tank will fit all Beetles and Karmann Ghia`s from August 1960 to July 1967. The original fuel cap will not fit this fuel tank. Requires fuel cap 231201551. ITEM NUMBER (A314. VW T25 TRANSPORTER CAMPER VAN. A NEW FUEL FILLER NECK RUBBER. 1 x RUBBER. FROM 1979 TO 1991. ). ITEM NUMBER A298. VW T2 TRANSPORTER, CAMPER VAN 1.6. T1 BEETLE 1.2, 1.3, 1.5 & 1.6. A NEW FUEL TANK CONNECTOR PIPE TUBE OUTLET. 1 x FUEL PIPE. FROM 05.68 TO 1979 (BAY WINDOW). SUITABLE FOR. 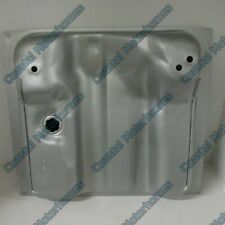 This reproduction fuel tank will fit all 1967-1979 Beetle`s and Karmann Ghia`s. Fits: Golf MK1 GTI & Diesel. Suitable for GTI & Injection Models Petrol / Diesel. VW Parts International. 1 x Fuel Tank – 40 Litre. Produced under strict guidelines to match original specifications. With excellent adhesion properties for welding and painting and with 99% pure Zinc plating, you can expect long life. This is a RARE NOW OBSOLETE FROM VW Fuel tank for Carburetor Engines for the following cars Polo 1982 - 1994. This is a new,genuine Volkswagen part. Part number. Alternative part numbers. Custom interior with folding bed from t25. the interior has been removed from van as high top was taken off. side unit with double hob sink and grill. Good condition. 5QF201060P / 5QF 201 060 P. 4MOTION DIESEL FUEL TANK. TIGUAN (NEW SHAPE 2017) model years 2017 >> present . New genuine VW part! WILL NOT FIT ALL MODELS! I can do this with your cars17 character VIN chassis number or UK reg number. 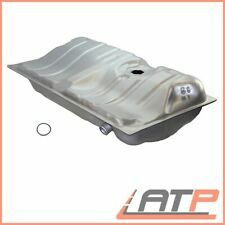 VW BEETLE Fuel Tank, Beetle 68-79, Repro. 113-201-075AD TYPE 1. This is a reproduction item which will still do the job nicely. We will have the best quality Wolfsburg West version available soon, but they will be almost twice the price. This is a good cheaper alternative. VW Transporter T5 2.0 TDI Fuel tank & Intake pump (2 pipe) 7E0 201 021 AD. VW Transporter T5 2.0 TDI Fuel tank & Intank pump (2 pipe) 7E0 201 021 AD. VW Transporter T5. VW part number(tank). 7E0 201 021 AD. (VW Volkswagen T25 Fuel Tank -85 Transporter Caravelle Camper)'s compatibility is a guide only. VW Volkswagen LT T25 Wiper Stalk Arm Rear Washer Transporter Camper Caravelle. Vw Volkswagen T25 Bumper Corner Front Left Or Rear Right Campervan Caravelle. For the VOLKSWAGEN TRANSPORTER T5. FITS ALL YEARSD AND ENGINES. Specialist Vehicle Dismantler. You must notify us within 48 hours of receiving the item so collection can be arranged. OUR REF: 1256-120419-121426076. Quality::JP Group. NB when fitting on Bays between 1968 and mid 1973 (to chassis number 213 2138 901, the sender unit 919VG0060 must also be fitted! Equivalent to part number: 211201075L. We just want you and your car to be happy! ). VW Golf Mk2 84-92. VW Golf Mk3 92-98. VW Golf Mk3 & Vento. VW Corrado 89-91. with the 55litre fuel tank. not Variant model. 1x 1H0201653F. not Syncro models. Used T3 petrol tank. Non injection outlet. Removed to fit injection tank for V6 conversion although to be fair it ran ok before!.... Solid everywhere, absolutely no holes or leaks, but was a little crusty in places on the top so wire brushed and painted with waxoil all over. Also has a dent, can be clearly seen on pics. Mk1 golf fuel tank. The tank has no leaks and is in working condition. Howkins Motor Spares (Leicester). VEHICLE: VW PASSAT ESTATE. LISTED ITEM FOR SALE: FUEL TANK. COLLECTION ONLY ON THIS ITEM . Dvla approved End of life vehicle centre. Wesley st, Off Abbey Lane, Leicestershire, LE4 5QG. Replacement fuel tank for all Type 25 Buses from 1979 to 1992 with fuel injection petrol engines. 48mm diameter fuel filler neck. NOTE: This tank will only fit fuel injection models and not petrol engines with carburettors or Diesel engines. VW BEETLE Fuel Tank, Beetle 61-67, Repro. 113-201-075AB TYPE 1. This is a reproduction item which will still do the job nicely. We will have the best quality Wolfsburg West version available soon, but they will be almost twice the price. (Taken From: 2011 VW PASSAT B7 1.6 TDi BLUEMOTION CAY C, 6 SPEED GEARBOX MYP, SILVER LA7W, ESTATE, BREAKING). YOU WILL FIND MORE INFORMATION ABOVE. Fuel Tank, Clamp to Body, Bug / K.Ghia / Type-3, Each. Machine7 specialise in Parts, Spares and Accessories for all Classic VW Air-Cooled models. We will ensure you receive a matched set, although they may differ in style slightly from the photo shown. Quality/ Grade::JP Group. NB when fitting on Bays between 1968 and mid 1973 (to chassis number 213 2138 901, the sender unit 919VG0060 must also be fitted! Equivalent to part number: 211201075L. We just want you and your car to be happy! ). 172857440063 - Catch. 182754442322 - Spring. 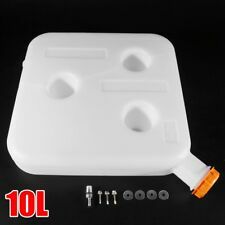 1x 40L Fuel Tank with O Ring Gasket. Fits VW Scirocco MK1 53 with Injection only. VW Parts International. For Injection Models Only. Produced under strict guidelines to match original specifications. 1x 40L Fuel Tank. 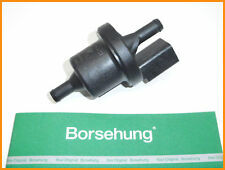 Fits VW Scirocco MK1 53 without Injection only. Produced under strict guidelines to match original specifications. With excellent adhesion properties for welding and painting and with 99% pure Zinc plating, you can expect long life. 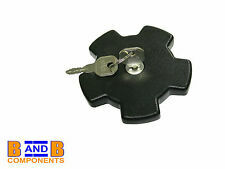 "Oversized fuel tank outlet elbow to suit VW Beetle and Camper fuel tanks. This 8mm outlet elbow suits Beetle fuel tanks from 1962 onwards, and Camper fuel tanks up to 1975. Fuel Tank, Outlet Elbow, 8mm large bore, Bug 62-, Bus -75 (CSP). VW TRANSPORTER T6 2.0 TDI. REMOVED FROM VW TRANSPORTER T6 2017 2.0 TDI CXHA 6 SPEED MANUAL GEARBOX SAY IN BLACK LC9X. AD BLUE TANK. IF THERE IS A PART YOU ARE LOOKING FOR AND YOU CAN NOT FIND IT. ALL OF OUR PARTS ARE SECURITY MARKED TO SAVE ANY MISUNDERSTANDING. 2.0 Diesel - Engine Code CFHC - In good condition. TOURAN - RHD. Mk1 2.0 TDI BLUEMOTION 6 Speed. Other Details. TRIM LEVEL. T5 (T28) 1.9 TDI SWB. TRANSPORTER - RHD. 1.9 TDI Diesel - Manual - Engine Code BRR - In good condition. Vehicle Colour Other Details Number Of Doors. ITEM NUMBER A522. VW T25 TRANSPORTER CAMPER VAN. FROM 1979 TO 1991. Splitscreen Buses from March 1955 to July 1967. Donor Car: 2004 VW Golf MK5 2000cc Quattro Sport. The New and Used VW Parts Specialist for all VW models worldwide. VW Part Number: Unknown. It may fit others. Very good condition. It’s been cleaned up and respirated and is ready to fit. Due to the size and weight, collection is preferred. Thanks for looking. Produced under strict guidelines to match original specifications. With excellent adhesion properties for welding and painting and with 99% pure Zinc plating, you can expect long life. 1x Fuel Filler Pipe.